This project aims to develop a toolkit (Demiurge) that will help staff to create educational content within an open-source 3D virtual world, thereby supporting innovative approaches to learning and teaching. 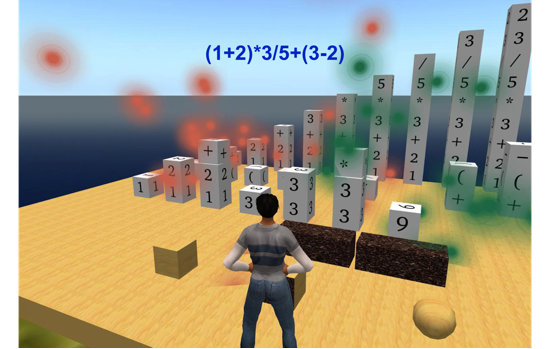 The toolkit will enable users to download an “OpenSim sandbox” on their own computer, enabling them to create virtual worlds for their students over which they have complete control, and which are free of charge. The toolkit will include a suite of resources including ready-made content building blocks, support for presenting educational content (eg Powerpoints), course management tools (eg assessment and feedback, group work) and user guides. In the future it is possible that distributed virtual worlds, which are as accessible as the web is now, as ubiquitous as social networking and as engaging as 3D games, will be part of our technology enhanced educational landscape. Today they are an important technology which has significant potential for delivering cost effective 3D virtual learning spaces and for enriching blended learning. The DEMIURGE package is implemented on a USB drive that installs an OpenSim server and compatible Second Life client on a personal computer. It also contains commonly required resources for creating educational islands. The work has been supported by the HEA-ICS Development Fund, and by FILTA, the University of St Andrews Fund for Initiatives in Learning, Teaching and Assessment.